Sometimes coding procedures on the integumentary system in CPT© really gets under your skin! 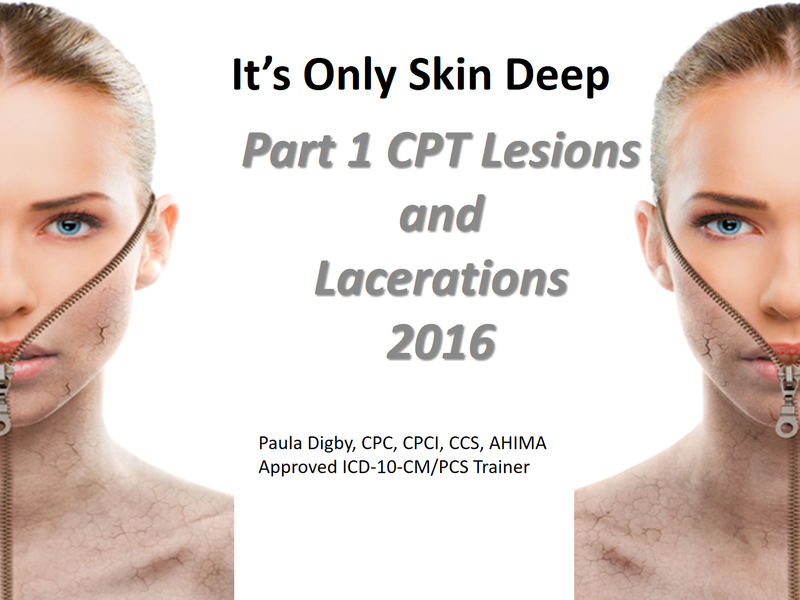 But once we realize that our questions are usually “only skin deep” and that a new perspective can make coding skin procedures in CPT© less difficult, we can basque in the light of confidence. .
How/when to report excision of lesions versus and/or with repair of the skin? Do I add the length of all my lacerations together or report them separately? Can you explain what is the difference in a flap and a graft and how to code them in CPT? Can I use a modifier -25 or -59 on a lesion removal? What ICD-10-CM code should I use to prove medical necessity?